At L&S Clock Repair, Inc we realize the importance of your item arriving safely and in a timely fashion and our reputation reflects this. We go to great lengths and often additional expenses to make sure your item is properly packaged and shipped out ASAP. Virtually all items are shipped out the next business day after we receive your payment. Costs cover shipping and handling, packaging materials and tracking and insurance when applicable. L&S Clock Repair is happy to combine shipping on multiple items when applicable provided you agree to wait until all items have been serviced. All items are available for local pickup—Free of Charge! Posted Shipping Costs only apply to the continental United States—please see details below for International Shipping. All orders shipped via UPS Ground or US Postal Service. UPS CANNOT DELIVER TO P.O. BOXES! PLEASE PROVIDE ACTUAL STREET ADDRESS FOR SHIPPING. International, Canada, Puerto Rico, Hawaii and Alaska shipping at an additional cost. Many countries impose their own customs, duties, tariffs, taxes, etc. on items being shipped from a foreign country. We are not responsible for this cost. We insure items above $100.00 so please keep this in mind when you are having it shipped into your country. Insurance is typically not available on International Shipments sent via the US Postal Service (Parcel Post). International Bidders residing in countries not covered under the US Postal Service insurance coverage area waive all rights to insurance claims and should bid accordingly. Insurance is automatically included to US Addresses! 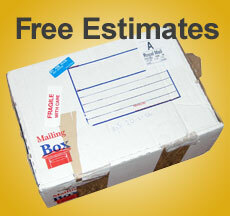 All shipments are automatically insured 100% against damage / loss at no cost for U.S. Addresses only. In the event an item is damaged during shipment and a claim must be filed with either UPS or USPS then it is your responsibility to retain all original packaging materials as they will be required by the insurance company to verify the item was properly packaged by L&S Clock Repair. The shipment of oversized items must be paid and arranged for by individual customers. We have pallets and a fork lift available and are happy to help load the item at no charge once we receive a bill of lading, but the customer must make all the necessary arrangements for shipping the item. There may be a palletizing charge on certain items.